Best done with good fishes like Seer fish,Hamour fish fillets,etc,.This Fish preparation is called Fish Puttu in Tamil and popular dish in Tamil Nadu.Tastes so good that u can have it alone or with rice and curry.Try this at home and post ur responses. Wash the fish fillets and boil them with turmeric powder and 1 tsp salt for 12-15 mins. When done,drain the water and wash them with cool water.Drain it and shred the fish pieces,removing fish-bones and pulse it once in Mixer-Grinder. Heat oil in a kadai,saute onion,red chillies and curry leaves. Add the shredded fish ,ground spice mix ,chopped coriander leaves and salt.Stir this for 4-5 mins. Add grated coconut and mix this well for 2-3 mins. 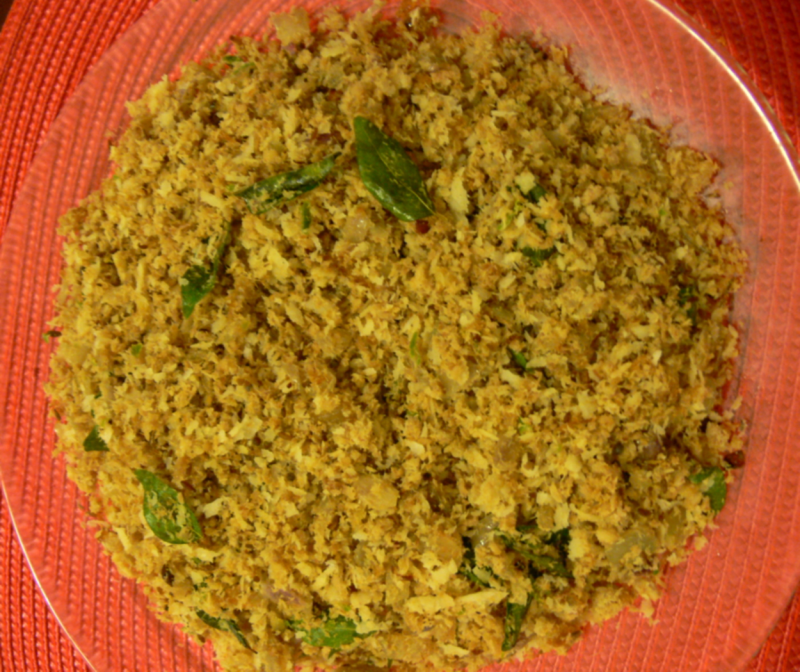 Serve this hot with rice and dhal curry or Tamarind Kuzhambu or Garlic Kuzhambu.